Balance a crooked or oversized nose, smooth bumps, minimize large nostrils and restore confidence with Rhinoplasty. Rhinoplasty, more commonly referred to as a “Nose Job,” is consistently in the top 5 of plastic surgery procedures performed each year in the United States. Because our nose is the most central feature of our face, it can be more prone to injury and deformation from breakage. If we are unhappy with its appearance due to injury or genetics, it can also cripple our self-esteem due to its prominent location. Both Drs. 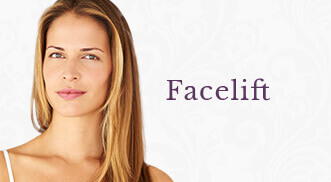 Tolan and Griffin are double board-certified and limit their practice to Facial Plastic Surgery. Due to these credentials they are two of the most sought after physicians in the Midwest to perform the rhinoplasty procedure. When executed well, a rhinoplasty can help correct several features both cosmetic and functional. It can restore balance to a crooked nose. It can reduce the size of both the overall nose shape and the nostrils. Rhinoplasty can also improve breathing and smooth out any bumps or humps along the nose line. All of these improvements can lead to a dramatic boost in self confidence for someone who is unhappy with the appearance of their nose. Functional Rhinoplasty is used to correct external and internal nasal deformities that contribute to nasal obstruction, congestion and/or respiratory difficulty. The end result allows patients to breath more freely and efficiently, having a great impact on quality of life. Our facial plastic surgeons perform rhinoplasty procedures at the Midwest Surgery Center, conveniently located within the Midwest Eye & Ear Institute in Woodbury. Who is the best candidate for rhinoplasty? Ideally, the body and face of the patient should be fully grown before undergoing a rhinoplasty. As a general rule, for cosmetic rhinoplasty, boys should be at least 15 years old and girls should be at least 13 years old. 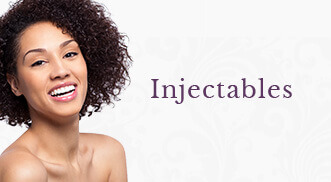 A full consultation will determine whether or not you are an ideal candidate for this procedure. The duration of the procedure is typically 1-4 hours and is dependent upon the extent of change required. Most rhinoplasty surgeries involve small incisions made inside the nostrils, as well as a small communicating incision across the skin between them. This provides greater exposure to the underlying cartilage and bone, which can then be reshaped or repositioned to create the desired appearance. While computer imaging is available for your consult, we strongly recommend that you review before and after photos of our patients who have undergone the procedure. Like all surgical procedures at Midwest Facial Plastic Surgery, our objective is to get you the most natural looking results possible that compliment your existing features. Are you interested in learning more about Twin Cities Rhinoplasty?